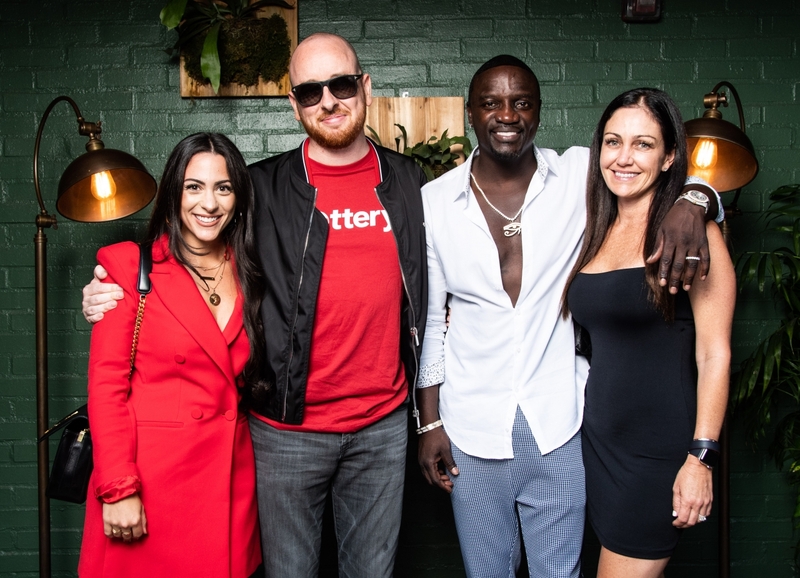 LOS ANGELES, August 10, 2018 /3BL Media/ -- Grammy-winning artist and techno-philanthropist, Akon, keeps the hits coming with the first announcement towards the goal of creating a digital currency to help empower young entrepreneurs. The renowned artist announced Lottery.com as Akoin’s first official partner in the creation and implementation of the Akoin currency. Lottery.com, the leader in Lottery and creator of a blockchain-powered global impact platform, is the first official Akoin partner. Lottery.com’s Global Impact Platform is a web and app-based service that offers a unique approach to mass-scale philanthropy. Appealing to traditional donors, as well as players of games of chance, the platform gamifies giving to humanitarian causes on both a regional and global scale, simultaneously increasing awareness, participation, and donations. “Our vision is to raise billions of dollars to help solve the most pressing humanitarian needs across the globe using impact raffles, sweepstakes, and other games of chance,” explained Lottery.com CEO Tony DiMatteo. Lottery.com, who opened the pre-sale for their Security Token Offering (STO) surrounding the Global Impact Platform this month, is the leader in taking officially sanctioned games mobile. The company’s mobile lottery platform has revolutionized legacy fundraising models and gaming technology to create a vehicle capable of raising large sums of money quickly for pressing humanitarian needs. Akoin and Lottery.com are currently collaborating on the design of raffles that will allow participants to enter to win prizes, as well as opportunities that are critical to the success of young entrepreneurs. This has particular significance for start-ups in lean economies, where access to tools such as portable solar chargers, micro-loans, mobile phones, and cash can be gating factors to business success. The Lottery.com global raffle platform effectively distributes the potential for wealth at scale, exposing large groups of social entrepreneurs to opportunity far more quickly than traditional fundraising allows. “With Lottery.com, we’re able to provide immediate access to real resources like training and business capitalization to help young entrepreneurs supercharge their business and exchanges. That’s how you change the game for future generations. That’s how we bring young people up out of poverty and help them take charge of their own destinies,” agreed Akon. More information about the Lottery.com and AKoin partnership can be found at www.akoin.io/.